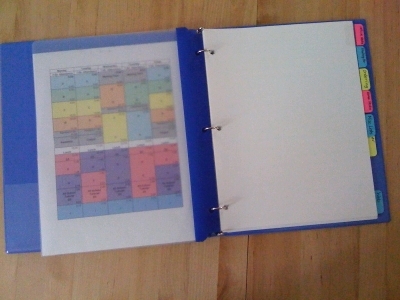 Until recently, I hadn’t had any luck with electronic organizers or using a Filofax. So, when I started trying to implement GTD, I didn’t want to invest a lot of cash or energy in the device. I knew that I didn’t want to go with something as simple as the Hipster PDA either, as I needed to carry certain papers regularly. So, for just a few dollars at Office Max, I put together my own planner. With these “ingredients,” I put together a thin, easy to carry notebook that held all my To-Do’s, Waiting For’s, Major Project Materials, and various Lists. It worked very well for me until I started using my current method of Outlook/iPhone. But, more about that tomorrow. This notebook represents my first go at GTD and I can say enough how much the principles in this book helped me fight feeling overwhelmed by all that needed to be done. oh i have some of them it really help…very good thing!